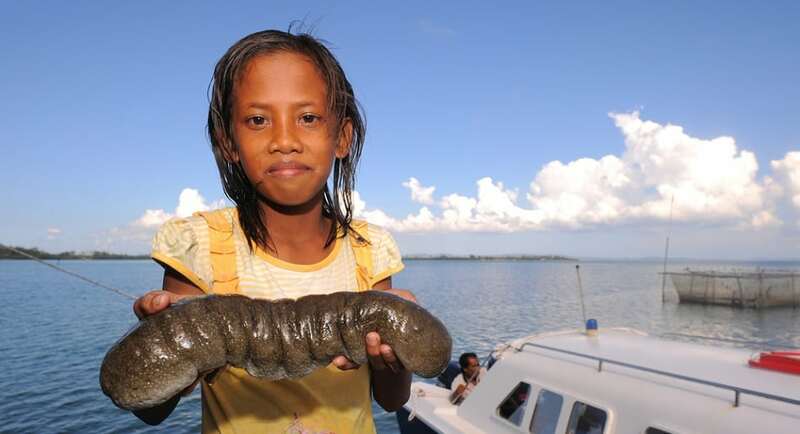 The sea cucumber is a popular delicacy in most East and Southeast Asia cultures as it is considered to be good for your health. It has a slimy/slippery texture and a very bland taste. It has been found to be higher in protein and lower in fat than most foods. It is prepared with shiitake mushrooms and Chinese cabbage in China. However, in Japan, it is eaten completely raw.